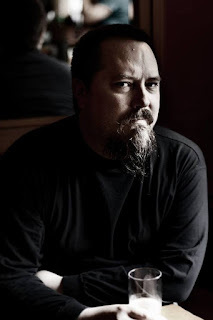 Ulff Lehmann is an author of epic dark fantasy. My first experience with his work came when reading Blackest Knights, then I moved on to his first book Shattered Dreams. He's created a large, fantastic world, and was willing to share more about his process with us. What inspired your world building process? Mythology, History, Realism. Too many fantasy worlds are a patchwork of different influences, with magic been tossed in as well, you have your Aztec, Venetian, German, whathaveyou. But if you look at mythology, every place the characters go to is whichever region the myths originate from. The people of Troy are Greek even though they probably weren’t and didn’t speak the language. The point is, if you have a pantheon that has peopled the world, it will be that pantheon’s creations that people the world, one language etc. I wanted not the ubiquitous Common Tongue, I didn’t want to develop a multitude of languages (of which the reader barely reads anything because we bloody write in English). In the end all that counts is to have consistency, and for that you need an understanding of history. The realism comes when you actually understand history, and people, and context. Myself, I want to read the stories I want to read, and so I write them. What reactions do you hope to inspire in others? Other than them enjoying my tales? I honestly don’t know, never thought about it. As I said, I write the stories I want to read. There is no ulterior motive. Afterwards I catch myself realizing I wrote something profound, but while they are my words, and my opinions, I don’t sit down and say to myself “Self, you have got to write something life altering today.” I just write stories. Two decades ago I would’ve said “To the next bar.” Nowadays, if people like my stories – that’s almost reward enough. Would I like to be better off? Sure! Hell yea! I’d love to not be poor anymore, but I write because if I didn’t I’d probably have killed myself a while ago.